Rugged computer systems designed to perform and built to last. 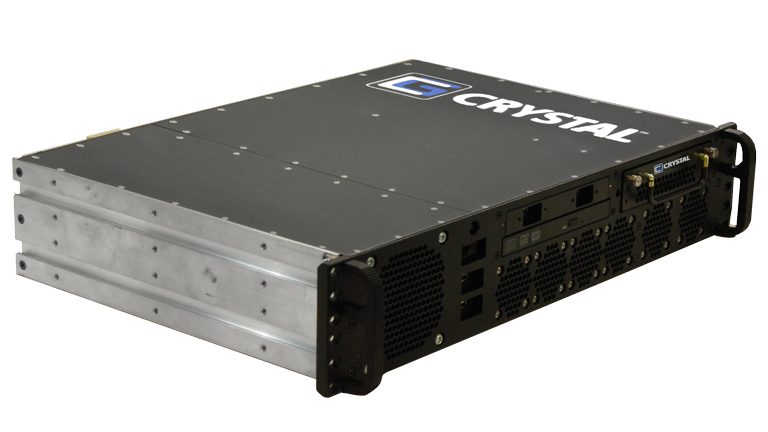 Crystal Group’s high-performance, high-quality off-the-shelf and custom-designed computing solutions are engineered from the ground up to work reliably, even in the toughest environments and most demanding applications. Aerospace & defense, industrial, and commercial customers count on Crystal Group rugged computers, electronics and fail-safe computing architecture. Crystal Group’s combat-proven, field-tested solutions are deployed on 500 military programs; put them to work for you. carry a 5+ year warranty with in-house and on-location support. Arm yourself with FORCE: Fully Optimized Rugged Computer Equipment from Crystal Group. Engineered with the latest advances in ruggedization, Crystal Group 1U, 2U, and 3U Rugged FORCE Servers with Intel® Xeon® Skylake processors bring unprecedented power and flexibility to the battlefield. Now with more standard rugged features to protect against heat, vibration, shock and humidity. Crystal Group FORCE RS1104L22 can dissipate 280 watts of CPU power with state of the art liquid cooling. FORCE is a high-bandwidth, low-latency, SWaP-C optimized high-performance computing (HPC) system. 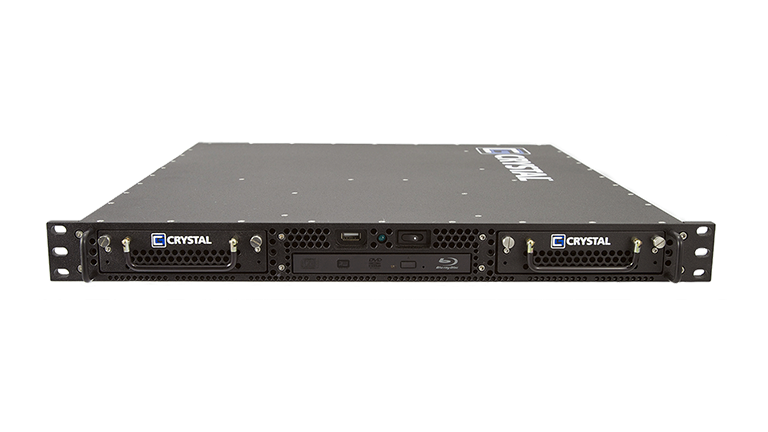 Tackle your toughest workloads with Crystal Group FORCE™ Rugged Servers. Crystal Group Rugged Autonomous Computer Equipment (RACE) puts automated driving system projects on the fast track to speed time to market and tap $7 trillion market potential. 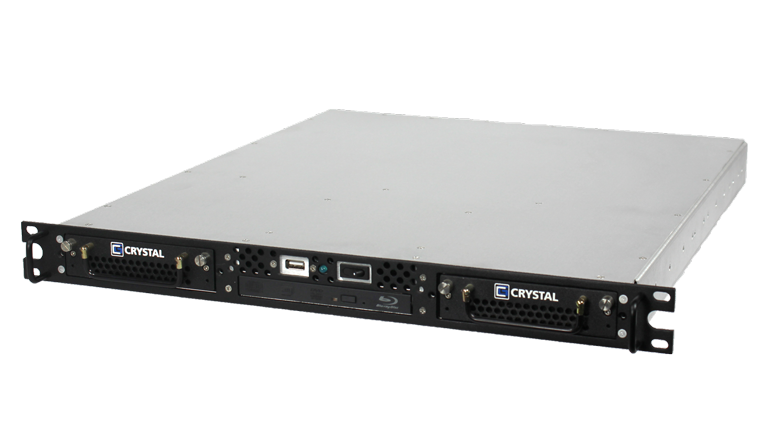 Crystal Group Rugged Servers (RS) are designed to deliver high-performance computing and high-capacity data storage in some of the roughest terrains and toughest applications. Select from more than two dozen popular models, each covered by a 5-year warranty, or call on Crystal Group to custom-design a device to meet your exact specifications. 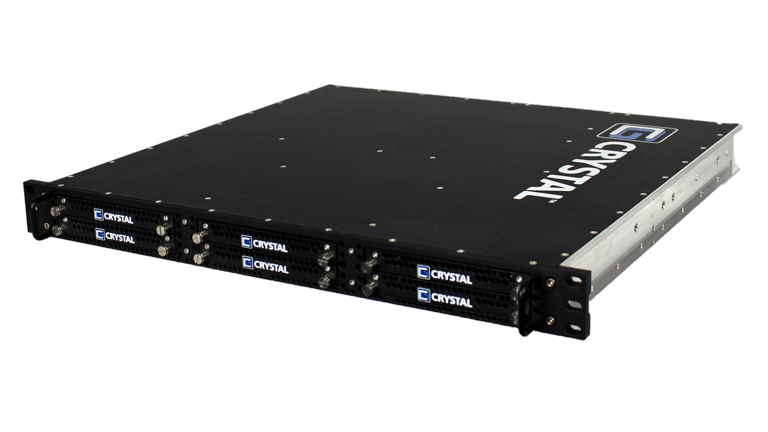 Crystal Group Rugged Carbon Fiber Servers pack robust compute power and flexible data storage in a specialized carbon-fiber chassis. Rugged, lightweight Carbon Fiber Servers offer shock and vibration resilience and EMI/EMC protection, making them the optimal choice for manned and unmanned airborne and ground-based applications. 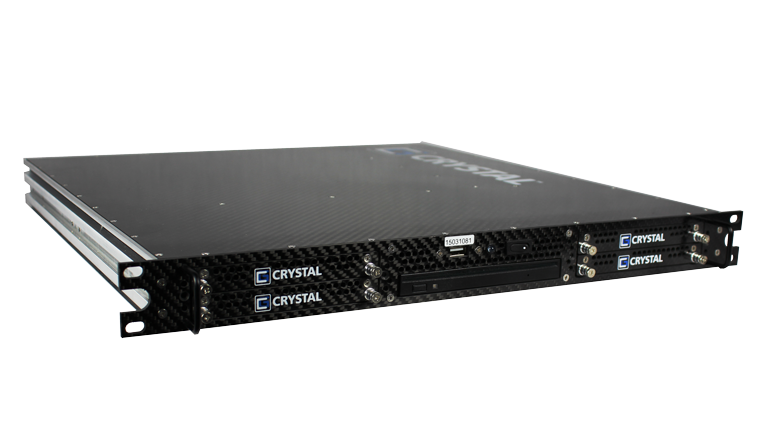 Crystal Group Industrial Servers (IS), benefitting from three decades of experience, provide superior performance in a compact, economical, and environmentally friendly package. Industrial Servers meet emission and military standards, boast a rugged aluminum chassis and state-of-the-art thermal management, and are designed to excel in industrial and commercial applications. 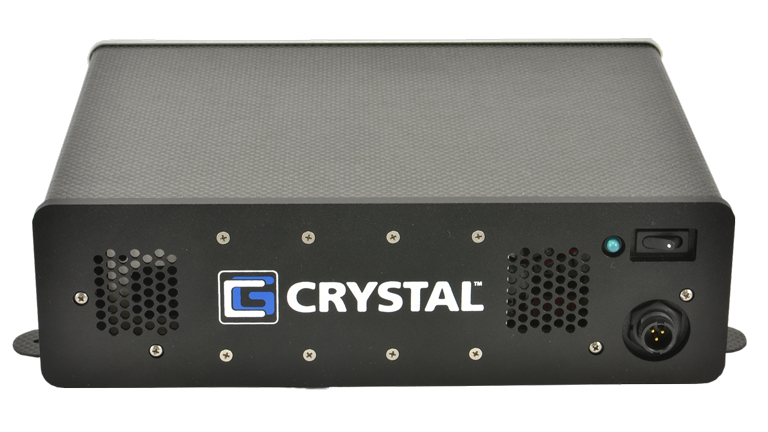 Crystal Group Rugged Workstations are specifically designed to provide robust, high-performance computer processing; meet size, weight, and power (SWaP) requirements; withstand harsh environments, including temperature extremes, shock/vibe, sand/dust, and salt/fog. 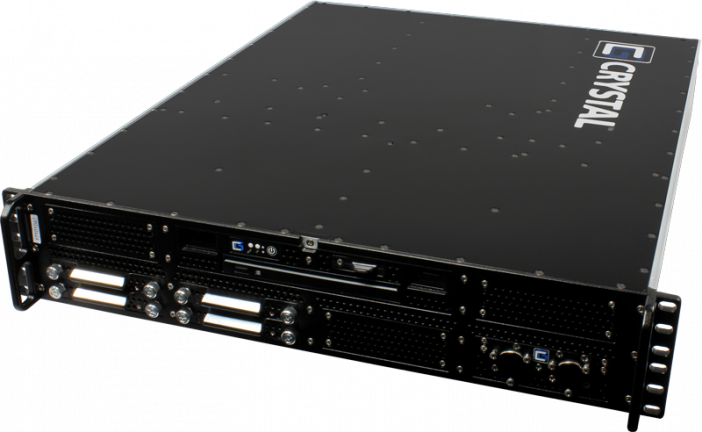 Choose from 29 different models – in 1U to 4U form factors, embedded or rack-mounted designs, with rugged aluminum or carbon-fiber chassis – or opt for a custom-designed solution – each backed by a 5-year warranty. Crystal Group Rugged Displays (RD) are engineered to meet military, industrial, and commercial demands for high brightness and contrast, sunlight readability, and resistance to impact, scratches, condensation and dust penetration. Choose from 17- and 19-inch displays, available with HD-15 and DVI interfaces or a KVM switch, for rack-mount, wall-mount, pole-mount, and RAM-mount applications. Engineered for long life, Crystal Group embedded computers harness powerful Intel® chipsets and processors, are completely and easily configurable, boast advanced thermal management and an all-aluminum chassis, and are combat-proven and field-tested to withstand shock and vibration, extended temperature ranges, harsh elements and extreme environments. 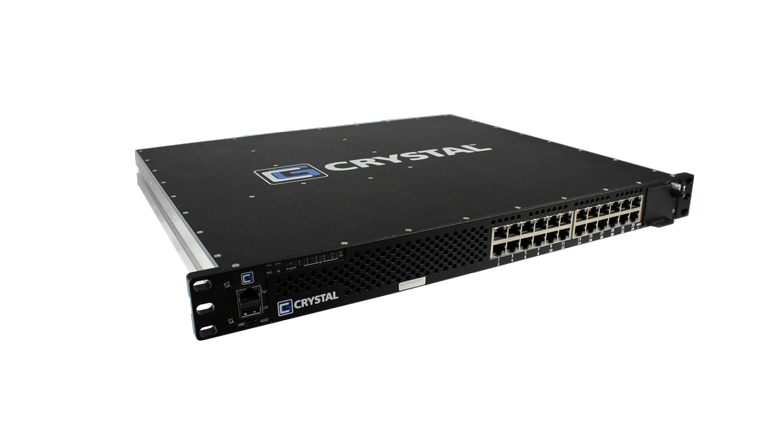 Crystal Group Rugged Networking appliances provide plug-and-play functionality in harsh conditions, with switches, firewalls, and routers housed in rugged, lightweight, and compact enclosures. Choose from 19-inch rack or transit case form factors constructed with strain-hardened aircraft aluminum to survive extreme environments, extreme temperatures, and high shock and vibration. 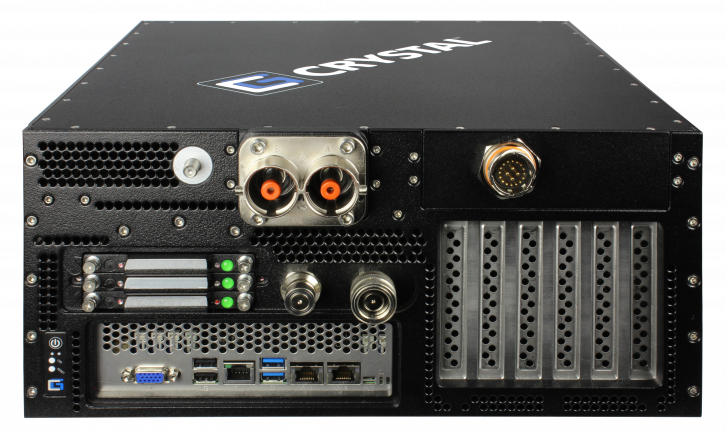 Crystal Group’s turnkey Rugged Storage Systems (RSS) combine high-capacity data storage and military-grade security in a reliable, rugged device that doesn’t sacrifice performance or critical data. Rugged Storage Systems, available in multiple form factors, boast high-bandwidth SAS architecture and enterprise-class SATA hard disk drives (HDDs) or solid-state drives (SSDs).